Stitching, stuffing, tearing, painting, felting, beading, appliqué . . . 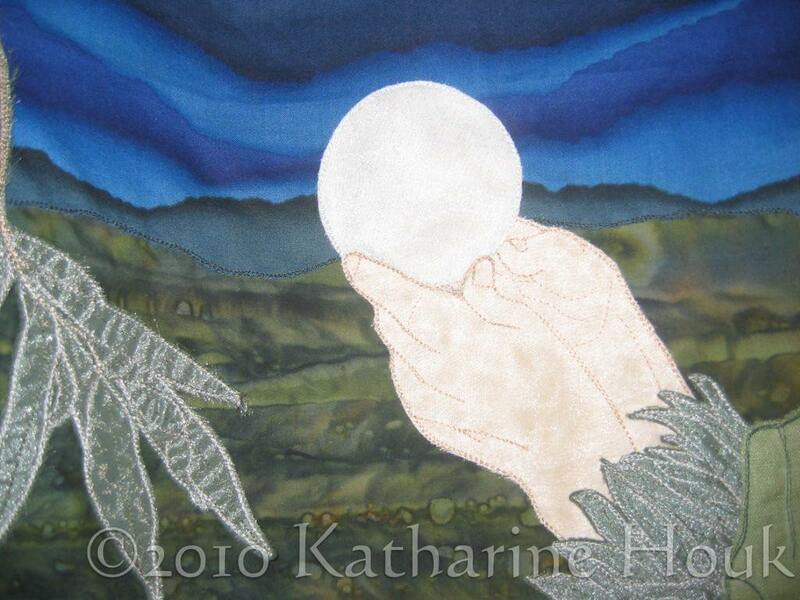 Welcome to the Web Home of Textile Artist Katharine Houk. On this site you’ll find photographs of some of my artwork. Moonrise With Willow, detail from wall piece. This entry was posted in Art, Fine Crafts and tagged Fiber Art, Textile Art by Katharine. Bookmark the permalink.